July 14, 2017 -- Public health officials are warning people with cuts, abrasions, and certain health conditions to stay out of warm saltwater and not to eat raw or undercooked seafood after four people in Alabama contracted vibriosis, an infection that is often mild but can turn deadly. Vibriosis is caused by about a dozen different species of the Vibrio bacteria, the CDC says. The bacteria can lead to serious, even deadly, skin infections or gastrointestinal issues. If the infection causes serous GI issues, hospitalization may be needed. If it causes a severe skin infection, it can turn into a condition known as necrotizing fasciitis, popularly called ''flesh-eating bacteria," and even require amputation. 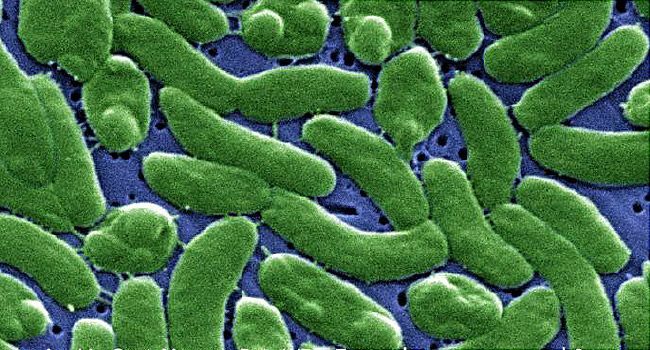 Contrary to some news reports, however, the four cases in Alabama, while verified to be caused by the Vibrio bacteria, were not classified as ''flesh-eating bacteria'' infections, says Sherri Davidson, interim state epidemiologist for the Alabama State Department of Public Health. "It's important to point out that it’s a continuum," she says. "You can have a wound infection from vibriosis that does not always progress to be necrotizing fasciitis." Two people had eaten raw or undercooked seafood; two had wound infections. Taking simple steps to lessen your risk and understanding the disease's symptoms can lower the chances that you'll have a serious health problem. We turned to public health officials, infectious disease experts, and the CDC to find out more about the bacteria. Why is vibriosis sometimes linked to 'flesh-eating bacteria' disease? If vibriosis causes a skin infection and becomes severe, it can progress to a ''flesh-eating bacteria'' disease, more correctly called necrotizing fasciitis. It means "causing the death of tissues." It's a serious infection of the connective tissue that surround muscles, nerves, fat, and blood vessels, and it can spread quickly, the CDC says. While Vibrio bacteria can cause necrotizing fasciitis, other types, especially streptococcus (group A strep) are the more common culprits, the CDC says. Klebsiella, clostridium, E. coli, Staphylococcus aureus, and Aeromonas hydrophila can also lead to necrotizing fasciitis. For the skin infection caused by Vibrio, "the key here is you have an opening in your skin that allows the bacteria to get into it," says Jason Newland, MD, a professor at Washington University in St. Louis and a member of the Infectious Diseases Society of America’s antibiotic resistance committee. Bacteria can enter through cuts, scrapes, burns, insect bites, or puncture wounds, the CDC says. What are the symptoms of a Vibrio infection? If the bacteria enter the body through a cut or wound exposed to salt water or brackish (slightly salty) water, a skin infection can happen and can become severe quickly. When the bacteria are ingested, symptoms can include watery diarrhea, nausea and vomiting, fever, chills, and cramping in your belly, usually within 24 hours of eating the food. These symptoms can last about 3 days, the CDC says, or can be more severe and become life-threatening. How often does vibriosis happen, and how often is it fatal? Good hygiene can lessen the chance of getting a skin infection, says Aaron Glatt, MD, a hospital epidemiologist and a spokesman for the Infectious Diseases Society of America. If you get a cut or other wound, taking care of it is crucial. Wash it with soap and water, and watch it to be sure it heals well. Anyone with an open cut should stay out of warm saltwater, where the bacteria thrive. Don't eat raw or undercooked seafood, especially oysters, to avoid diarrhea, public health officials caution. How is vibriosis diagnosed and treated? A doctor may suspect vibriosis when someone has watery diarrhea after eating raw or undercooked seafood or after they get a wound infection after being in seawater, the CDC says. A diagnosis is made if the Vibrio bacteria are found in the blood, stool, or the wound. If the stomach infection is mild, drinking plenty of fluid can help replace what was lost from the diarrhea, the CDC says. Antibiotics may or may not help fight vibriosis, Davidson says, depending on which species of Vibrio caused the infection. If GI symptoms become worse or if the skin infection does not improve, emergency medical help is needed. For severe infections, you may need to be in the intensive care unit. If the skin infection becomes necrotizing fasciitis, the affected skin may need to be cut away; in severe cases, amputation may be needed.